Lynn Sherr and Maggie Murphy,"PARADE Exclusive: A Conversation With the Obamas," Parade Magazine, September 12, 2012. http://parade.com/124838/lynnsherrmaggiemurphy/02-conversation-with-the-obamas/. Read (and laugh at) the entire article here. This weekend, people all around the world will be tuning in to watch the royal wedding of Prince Harry and Meghan Markle, an American actress. With a black mother and a white father, Markle identifies as biracial and will be one of the first Americans to marry into the British Royal family. To the chagrin of some, British royal weddings are a big deal in its former colonies, the United States included. But this is a major exception. Black women have been excluded from Western princess imagery until recently with the Disney Princess Tianna, who spent most of the movie as an animal. Yet, with Prince Harry and Meghan Markle, for the first time in living memory, an Afrodescendant woman will be the star who ends the movie as a princess in a real life royal wedding. Last year was not only the year that Prince Harry proposed to Markle, it also marked the 50th anniversary of the landmark 1967 Loving v. Virginia Supreme Court decision outlawing state anti-miscegenation laws. To celebrate interracial love, The New York Times ran an editorial titled “How Interracial Love Is Saving America” by Sheryll Cashin. The author cited research by the Pew Research Center on how 17% of newlyweds and 20% of cohabiting relationships are either interracial or interethnic, many times higher than in 1967. Cashin saw the enlightened whites who had married across color lines as being at the forefront of a New Reconstruction in the Trump Era. Many people think that as an important symbol of racial harmony, Prince Harry and Ms. Markle will change the world. Like these U.S. newlyweds, their love will be the acid melting the boundaries separating blacks and whites. As final arrangements are set for the wedding of the US actor Meghan Markle to Prince Harry Windsor, hopes are mounting among some that the Markle effect will have unexpected impacts, including improving opportunities for African American women in the workplace. “It’s exciting for black women, and I think it’s going to be inspirational,” said Camille Newman, a 38-year-old Brooklyn entrepreneur. Newman expressed deep-felt enthusiasm in the union as a symbolic marker for the acceptance of black or biracial women in society and said other women of color she knew felt the same way. “We’re claiming her for a black woman’s right to be in there like everybody else,” she said. In an increasingly mixed-race America, who decides what we call ourselves? Prince Harry and his fiancee Meghan Markle speak with teachers at the Nottingham Academy Dec. 1. Last week, the Meghan Markle controversy was her anticipated visit with Prince Harry to Queen Elizabeth’s estate at Sandringham for Christmas, an unprecedented invitation for an unmarried couple. Before that, the debate was about Markle’s mixed-race identity: Do her African American mother and white father make her white, black, or biracial? 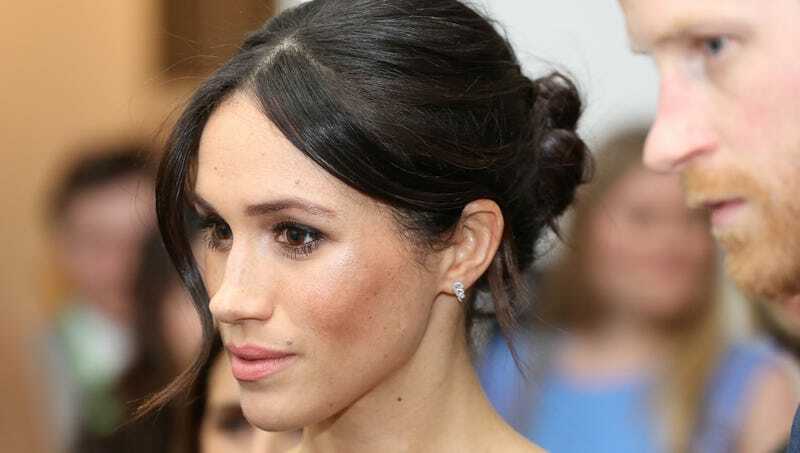 After her engagement to Harry, some women celebrated the notion of a “black princess” — although she’ll actually be a duchess — while others argued she should be described as biracial, not black. How to define, describe, and label mixed-race identity has been a brewing controversy in recent decades as the country becomes more racially diverse. Since the 2000 census, when Americans were first able to choose more than one race, the Census Bureau reported that people of color will be the majority in the nation by the 2040s and that more than half of American children will be part of a minority race or ethnic group by 2020. In fact, as of last year, the census said minority or ethnic-group children under the age of 1 are already in the majority. The sociologist Herbert Gans blamed Census Bureau data for the increase in white nationalism and alt-right fear “that they are being threatened and overwhelmed by a growing tide of darker-skinned people.” He predicted that mixed-race Latinos and Asians will eventually identify themselves as white. Comments Off on In an increasingly mixed-race America, who decides what we call ourselves? This week, the engagement of American actress Meghan Markle to British royal Prince Harry set social media ablaze. Interview with author Afua Hirsch and Charlie Brinkhurst-Cuff who is deputy editor of gal-dem – an online magazine written by women of colour. And from New York – the comedian Gina Yashere. Meghan Markle greets wellwishers in Nottingham, England, with Prince Harry, on Dec. 1. All it took for Meghan Markle to “become” black was a proposal from a prince. PRINCE Harry and Meghan Markle’s engagement sparked a heated debate on racial identity on BBC’s Newsnight following the couple’s wedding announcement on Monday. 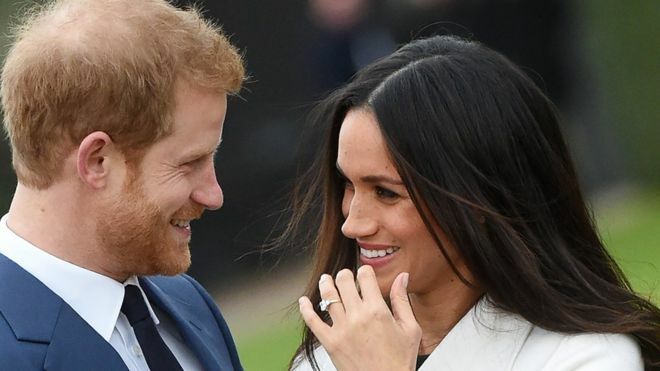 The ginger royal and American actress’ engagement was officially announced by his father the Prince of Wales in a statement from Clarence House. 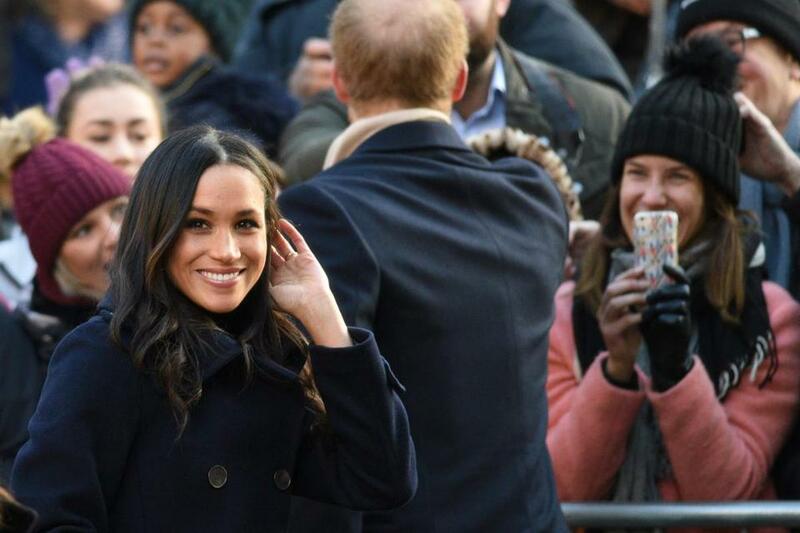 Prince Harry had popped the question to Ms Markle earlier this month in London and their engagement has sparked a debate on race – the Suits actress is the first person of mixed race origin to marry into the royal family.